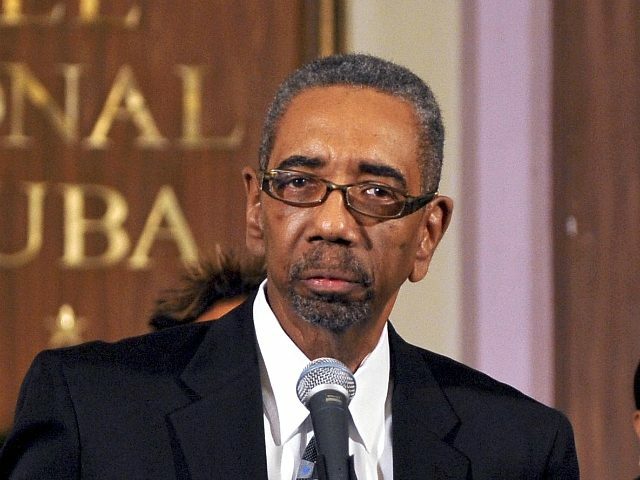 Rep. Bobby Rush (D-IL) slammed the Chicago police union as the “sworn enemy of black people” for demanding Cook County State’s Attorney Kim Foxx resign over her office’s handling of Empire actor Jussie Smollett’s case, according to the Chicago Tribune. “Let’s be clear: Kim Foxx, her battle, is with the FOP and all of their cohorts,” he added. Rush’s own record on racial issues has been marked by controversy. Rush, a founder of the Black Panther Party in Illinois, once referred to then-Sen. Mark Kirk (R-IL) as a “white boy” after the senator called for mass arrests of gang leaders in Chicago. Rush branded Kirk’s proposal as an “upper-middle-class, elitist-white boy solution to a problem he knows nothing about.” Rush is also a member of the Congressional Black Caucus, which has met with antisemite Nation of Islam leader Louis Farrakhan. A group of suburban Chicago police chiefs said Thursday that they have no confidence in Foxx and called on her to leave her post. Nearly 30 police chiefs attended a news conference with Chicago Fraternal Order of Police President Kevin Graham to support that call, saying the dismissal of charges against Smollett, who they charge stagged a hate crime against himself to boost his career, was a factor in their position. Rush’s remarks came as Foxx defended the decision at Rev. Jesse Jackson Sr.’s Rainbow-PUSH Coalition offices, saying the Empire actor was treated no differently than thousands of other defendants whose charges were similarly dropped since she took office. Smollett told police two masked men beat him, sprayed him with an unknown chemical substance, placed a thin rope around his neck and scream “This is MAGA country!” before running away. In her remarks, the top prosecutor did not address specifics of the case, or the criticism leveled by legal experts and others who said it was highly unusual not to require an admission of guilt by Smollett, particularly since at the time they dropped charges, prosecutors said they believed they could have proven the charges against the actor. Last Thursday, Chicago officials said last they will file a civil lawsuit against Smollett for the cost of the investigation into his alleged hate hoax after he refused to meet a seven-day deadline to repay roughly $130,000.